One of the most successful aircrafts from Japan, the MU-2B is a utility transport aircraft that is a high-wing, twin-engine turboprop, with a pressurized cabin. It was produced from 1963-1986 and its first flight was on September 14, 1963. On its 50th anniversary, it embarked on an around the world journey, commemoratively stopping in its place of manufacturing, Nagoya, Japan. The MU-2 lineup can be divided up into two basic types, the standard fuselage and stretched fuselage models. While the Solitaire features the short fuselage, the others, including the Marquise, have the stretched fuselage. The aircraft was improved and upgraded throughout its production life. Notable changes include improved and more powerful TPE331 engines, and four blade propellers in the N and P models. 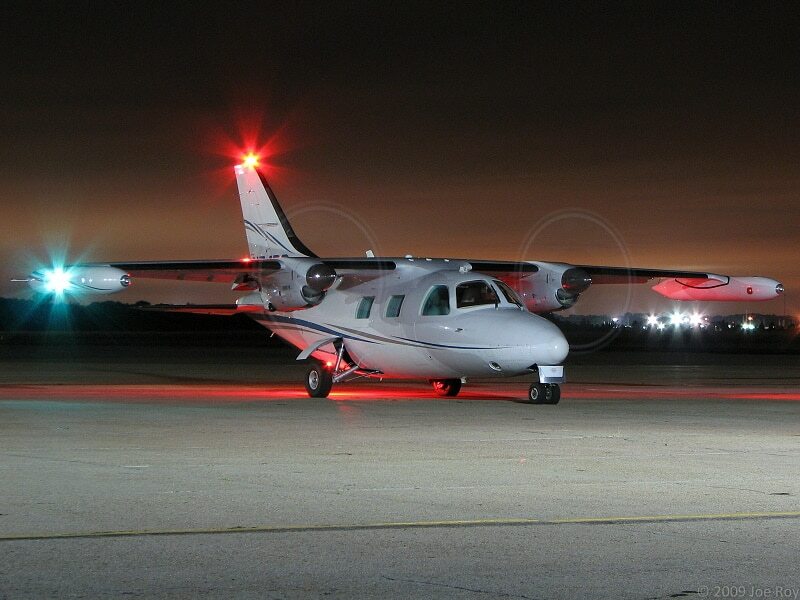 The Mitsubishi MU-2B was designed with corporate America in mind. Mitsubishi, originally a shipbuilder and manufacturer, had done research that indicated that in the United States, demand would grow for a low cost, fast airplane that requires less runway length than many others on the market. There have been 330 fatalities from MU-2 crashes, alerting the FAA to begin safety evaluations. The aircraft has been concluded to be safe only when operated by properly trained pilots and when the aircraft is also adequately maintained. When training became required outside of the U.S., the MU-2 accident record was vastly improved. A wave of accidents with the aircraft occurred in Australia between 1988 and 1994, all caused by icing on the airframe, which caused the airspeed to decrease to the point where the aircraft stalled and entered a spin.